Oh my god, you will not believe how glad I am to be back! Not just that, but how excited I am to feature today's shop! 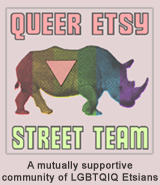 Today's shop is a BESTeam (Boosting Etsy Shops Team) shop, but that isn't even close to why I'm excited. I'm excited because I've been waiting to feature this shop for what feels like forever! I've wanted to feature this shop since the first time I saw them, but I held back and waited because they're a member of the team so I knew they'd be assigned to me to feature at some point but OH was it ever a long wait! 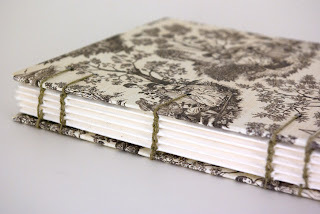 Conduit Press on Etsy is the shop I'm talking about today. It's a shop filled with some of the most beautiful leather journals! I'm a big fan of journal writing. I've been writing in journals off and on throughout my entire life. I have journals for daily living. Journals for rants. Journals for poetry, for ideas, for inspirational thoughts. I have a dream journal and a short story journal and even a journal filled with lists! I love opening up a book filled with blank pages, like an entire secret world of possibilities. And I love the idea that some day, when I've passed on, pieces of me will be scattered in these books for my loved ones to thumb through, read and enjoy. It's a magical thing to have a physical, tactile piece of history you can pass on, especially when it's something as personal as a journal filled with your own words, thoughts, ideas and dreams. Conduit Press has plenty of different styles of journals and notebooks to choose from too, and they're all beautifully made with a wonderful sense of purpose and style. Each and every one of Conduit Press' books are handmade with love and care toward both its new owner and the environment, too. And each one is a one-of-a-kind creation. You know you'll not find another one like it when you purchase from this wonderful shop... not even another one like it within the store you bought it from! TO VISIT CONDUIT PRESS ON ETSY, YOU CAN CLICK THE PICTURES ABOVE OR, IF YOU'D RATHER, CLICK RIGHT HERE! You might also enjoy checking out the Conduit Press blog, as well as their Facebook page and Twitter page! I love journals too. Especially the covers of them so pretty and fun to write in. It helps the creative juices flowing. Lovely shop and Lovely write up! I'm a journal junkie, especially for leather ones. There's something so special about writing your secrets in a leather journal! Great feature! I can almost sniff the fresh blank pages of the brand new journal! 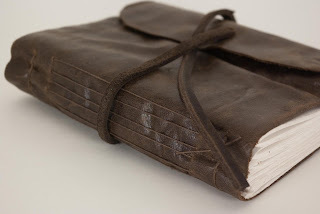 I have always loved writing in my journals - I will definitely check out these journals - I love the leather bound one!